IMA Life and PATHEON-THERMO FISHER SCIENTIFIC: a Great New Match. Alberto Penati, EU Engineering Director and Marco Elli, EU Production Equipment Engineering Manager at Patheon-Thermo Fisher Scientific in Monza, talk about the recent installation and current development of the “ST5 Project” for an Isolated Filling Line for Lyophilised and Liquid Products. Patheon-Thermo Fisher Scientific is considered one of the leading Contract Development and Manufacturing Organisations in the world. The newly combined organisation is built on a fully integrated network of facilities across North America, Europe, Asia and Australia, and delivers an end-to-end solution to pharmaceutical and biopharmaceutical companies of all sizes. The group offers a comprehensive range of services spanning all phases and scales, from initial drug formulation to clinical trials support and commercial production. Drug substances and drug products. Development and manufacturing. Small and large molecules. Biopharmaceuticals and biosimilars. Lyophilisation & sterile injectables (vials, prefilled syringes and cartridges). Oral solid dosage forms. More than 8,000 scientific and professional staff. Plus over 40 years of experience and innovation. The Patheon-Thermo Fisher Scientific facility in Monza is a cGMP manufacturing site, situated 15 kilometres north-east of the city of Milan, in the industrial heart of Italy and close to one of the most important economic and strategic areas in western Europe. The site delivers high-end production solutions for commercial scale finished-dosage pharmaceutical forms. Lyophilised products, sterile parenteral liquids and Ready-To-Fill components are produced in a Grade A Sterile Production zone, with separated and stand-alone filling areas. “What makes our site special is its ability to support a diverse and international client base with customised solutions. Our commitment is to enhance product values through investment into state-of-the-art technology”, states Alberto Penati. “More than 70 current products (30% biologics), almost 50 clients (most of them Biotech and Big Pharma), 34 ongoing projects and 360 m2 of lyo surface (including “ST5” project) are all figures that speak volumes about our site capability”, remarks Marco Elli. This is where the IMA Life isolated filling line for toxic lyo and liquid products has been installed. For what reasons did you choose IMA Life technology for the “ST5” project? Recent analyst surveys place the market for parenteral dose contract manufacturing services at around $1.5 billion, with an annual growth rate of 5-10%. Not wanting to fall short of the needs of the large biopharmaceuticals influx predicted to take place during the next few years (and beyond), we made sizeable investments into new parenteral capacity. Our new department for aseptic filling of liquid and lyophilised products requires up to 250 batches per year on a “24/7 lyo cycle” basis. Considering the abovementioned figures, our aim was to achieve maximum flexibility while applying enhanced technologies to aseptic processing. IMA Life’s proposal for a fully integrated aseptic filling line under isolation technology completely fulfilled those demands. Some of IMA Life’s enhanced solutions worth mentioning include the Liquid Nitrogen (LN2) refrigeration system, which offers performance advantages over conventional compression refrigeration during the lyo process, Isolation technology, a fully closed enclosure equipped with a dedicated air circuit where machines are segregated, and the Integrated Automation Platform, maximising connectivity and internal data networking, management & control. As a turn-key supplier, IMA Life has assumed complete responsibility for the entire supply chain, offering an integrated solution with a clear schedule, safety control and cost control. Choosing IMA Life as a one-stop supplier has prevented us from wasting valued time and resources. What does flexibility mean in terms of production capability? We had to face various issues and respond to the major common requirements related to large-scale commercial production in stand-alone grade A sterile areas. We can say that the concept of “flexibility” covers many aspects. Segregation of heating/ventilation/air-conditioning (HVAC) systems for each production area allows multiple compounds to be manufactured in a single plant. Current Good Manufacturing Practice (cGMP) regulations recognise that Contamination and Cross-Contamination of pharmaceutical products should never occur. From decontamination, through depyrogenation up to liquid filling/lyo processing & capping operations, all our efforts are aimed at maintaining product quality and avoiding any risk of contamination. IMA Life’s integrated line allows for easy operations in a full aseptic process with isolator (including VHP sterilisation system) on filling line and on loading & unloading operations, in a grade A/B background. Another aspect of flexibility is seen in the freeze-drying Pass-Through configuration. Product turn-out can be increased or decreased simply by running the processes for longer or shorter periods. IMA Life’s line is equipped with three Lyomax Freeze Dryers in Pass-Through configuration in Grade A continuity, and two independent capping machines for lyo and for liquid products, ensuring alternate production flows. Modular processing systems like Da Vinci’s vial loader/unloader are an additional key feature for maximising flexibility. Da Vinci can be actually used when freeze-dryers are loaded and unloaded on the same side or on opposite sides in a Pass-Through configuration, which is exactly our case. It is clear that the “ST5” line is an example of a highly flexible configuration allowing for a more efficient and more cost-effective production process. Why did you opt for Isolation Technology? The advantages offered by barrier technologies in terms of end product quality and cost saving are absolutely proven. Worldwide cGMP guidelines for the manufacture of sterile medicinal products recommend the application of Isolator or Restricted Access Barrier System (RABS) technologies to provide maximum protection of the grade A environment. Even though the Isolator increases the complexity of the overall project, the selection of a supplier as a “single source” helps reduce engineering and validation costs, providing a standardised automation system and centralised data collection. 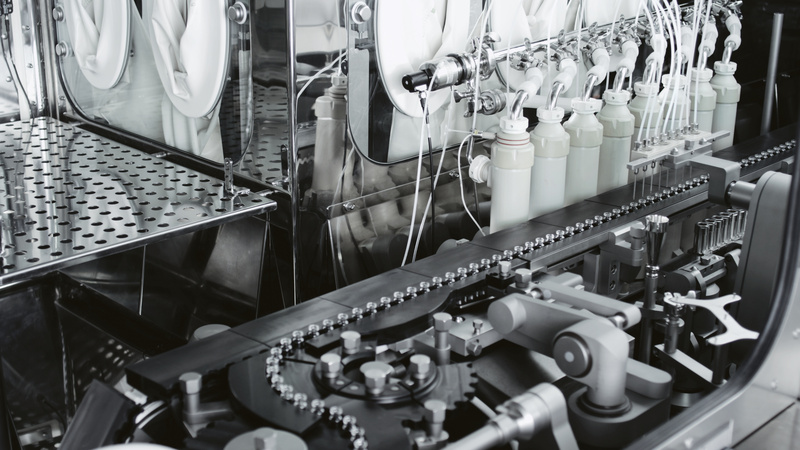 Isolation Technology allows a filling line for aseptic products to be installed in a production area classified as Class C, instead of Class B, which is required when an Open RABS or a Closed RABS is used. The downgrade of production room classification means Operation Cost savings in terms of less quantity of air required by the room, less air sampling (particulate and microbiological), less time spent by operators entering/exiting the classified room and, last but not least, less expensive gowning. What are the advantages of a “Fast Track” approach? IMA Life directly delivered the three Lyomax Freeze Dryer components at the Patheon-Thermo Fisher Scientific Monza site. In other words, both mechanical and electrical assembly as well as testing of the Freeze Dryers took place on site. FAST TRACK is a horizontal integration of “make” and “test”, and helps adapt and fine-tune the manufacturing process according to specific needs. In this way, we have been able to comply with the strict requirements of the “ST5” project timeline. The results? Lower costs, tighter assembly process control, closer synergy and shorter delivery schedules. This strategy has definitively reduced our time-to-market! Patheon-Thermo Fisher Scientific and IMA Life’s teams are currently working on the new “PDS” project development. It is a new isolated filling line, for medium to small production batches, for processing both lyo and liquid products. Delivery is scheduled by the end of the year. 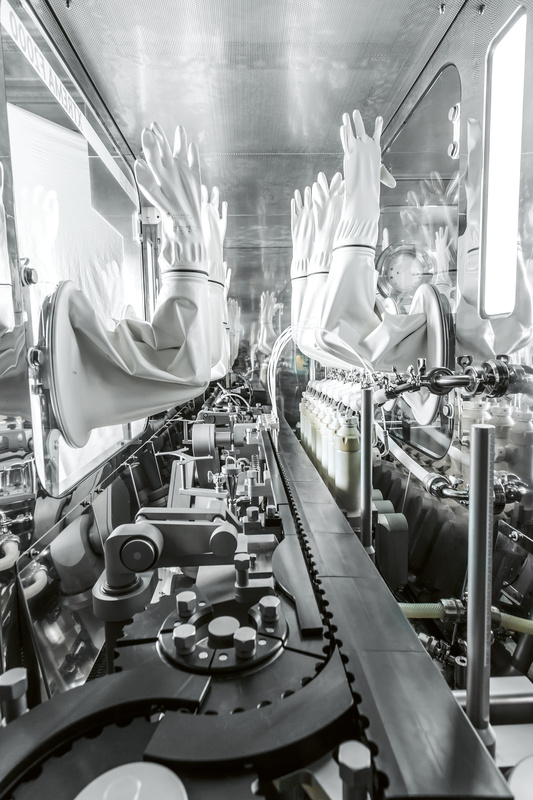 It is a fully integrated solution similar to the “ST5” project, including a complete filling line under aseptic containment with automatic vial loading & unloading systems and freeze dryers. The full benefits of flexible manufacturing are once again realised with the implementation of an appropriate concept design. Already implemented in the “ST5” project, Da Vinci’s innovative “cross section” ensures one freeze-dryer can be loaded while the other is being unloaded, thus avoiding cross-contamination risks. It also minimises the downtime periods typically associated with managing different products. In Patheon-Thermo Fisher Scientific, we work in a dynamic international environment providing comprehensive services from drug development through to drug manufacturing. Considering the upward market trends for parenteral dose contract manufacturing services, I can see a positive future direction in our worldwide exposure to highly demanding clients and regulatory agencies. Compliance with the new guidance and current concept papers on “Sterile Drug Products Produced by Aseptic Processing,” always presents an important challenge for parenteral CDMOs, as it has ramifications for all other processes in drug manufacturing. Can Standards Help Pharma Modernize Lyophilization?